Kimdecent has announced the launch of a new mini PC this week in the form of the Kimdecent Droid Stick A2, which is equipped with a dual core processor. The small dual core mini PC as with other stick style computers has a HDMI connection at one end and a USB 2.0 port at the other. Allowing you to insert the Droid Stick A2 directly into a spare HDMI port on your HDTV, transforming it into a customisable Smart TV. The Kimdecent Droid Stick A2 is powered by a 1.5 GHz Amlogic 8726-MX ARM Cortex-A9 dual core processor, supported by 1GB of RAM and has options for either 4 or 8GB of internal storage. Graphics on the Droid Stick A2 are provided by a Mali 400 dual core graphics chip that allows the system to run Google’s latest Android 4.1 Jelly Bean operating system. 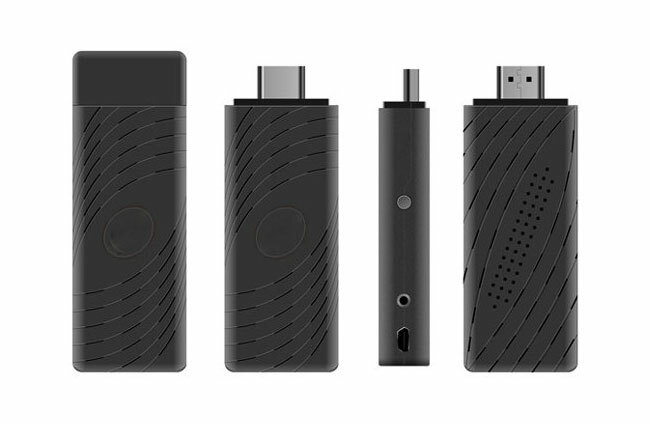 Other features of the Kimdecent Droid Stick A2 mini PC include 802.11b/g/n WiFi, connectivity, infrared remote control, microphone jack, and IR port. No information on pricing or worldwide availability has been released as yet by Kimdecent, but the new mini PC is expected to go into mass production next month. Full specifications for the Droid Stick A2 mini PC are available over on the Kimdecent website.